A 9/11 hero firefighter struggling with survival guilt is blackmailed into a journey of redemption by a photographer he crossed paths with on that tragic day. Gus Johnson (James A. Lee) is a New York City firefighter who panicked and escaped the World Trade Center in 9/11. He barely survived the collapse and instantly became a hero. However, survivor’s guilt haunted Gus turning him into a self loathing alcoholic, which drew away his wife and son (Sebastián Zurita). 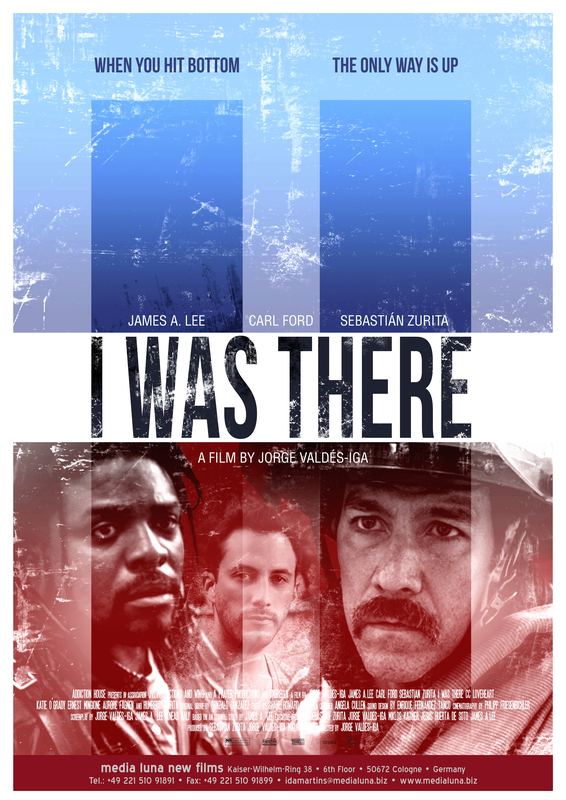 Years later, Samuel Lyons (Carl Ford), a photographer who crossed paths with Gus on 9/11, confronts Gus with a photo that proves Gus was not a hero that morning and blackmails him into telling the truth to his family, which forces Gus into a journey of self discovery and acceptance. When James pitched me the story I fell in love with it. The fallen hero, 9/11, the survival guilt, and the redemption arc of the character, it was all very captivating for me. I started working on the script with him and while researching the 9/11 aspect of it, I got a strong realization: I’m Mexican of origin, I was not even in New York when 9/11 happened or knew nobody that was directly affected by it. What did I know about 9/11? How dare I do this film? I was so blocked I almost walked away from the project entirely, except I realized I would be running away just like James’ character character, did in the film. Suddenly, the film became very personal. I found not only inspiration, but passion for the story. I needed to make this film, not only for myself, but for the world. I think a lot of us are constantly running away from our fears. Putting on a mask. Hiding from the world. Sometimes it takes a lot of courage for us to take a good look at ourselves in the mirror and be honest, and the reason is often we are not kind to ourselves when we made a mistake. I humanity will heal once we learn to embrace ourselves and therefore others. For several years James studied acting with Bobby Lewis, a legendary founding member of the revolutionary 1930’s Group Theater. Bobby guided James to be in constant search for the truth in every moment. Lewis urged Lee to stay in that truth until another moment presents itself. Mr. Lee so treasures Bobby Lewis’ artistic insights and intuitions he feels compelled to keep Lewis’ work alive by creating art that must serve humanity. In 2004 James founded Wing And A Prayer Productions, an artistic think tank designed to create raw, inspiring projects that probe the human condition. The engine that drives his artistic aesthetic comes from the great filmmaker and actor John Cassavetes , “Risk everything to express all.” He collaborates with writers, directors and independent film companies who believe that the story is the only thing that truly counts, so one must risk everything in order to get it told. A native of Rhode Island and recipient of a basketball scholarship to Mansfield State University, James was a former U.S. Marshal before realizing that acting was the trajectory where he could make his greatest contribution. He is best known for the film which he co-write and starred, I Was There (2015), Atrocitas (2014) and That’s What She Told Me (2011), as well as numerous guest starring roles on television. Carl Ford is a writer, filmmaker and acting teacher. After graduating Williams College, Ford was Founder and CEO of Black Nexxus Inc from 1996 to 2008. His latest production work “30 Beats” is distributed by Lionsgate. He had the honor of working with talents as Anthony Minghella, Jill Scott, Sean Combs, Q-Tip, Laverne Cox, Adepero Oduye, Ice-T and many others. Sebastian Zurita moved from Miami to la to train at the Lee Strasberg Institute. His first leading role was in Mexico’s Televisa. He starred in five different soap operas, two plays, acted and produced on five feature films and won numerous awards for his leading performances. currently he has two films in pre-production and two plays scheduled for 2016.